As an example, 71 Saint Peter is offering a $45 four-course meal with prosciutto wrapped melon, charred octopus salad, pan-roasted quail or braised short ribs, and a Bergamot orange creme brulee. To see all of the menus and specials, head over to the Dine Downtown website. 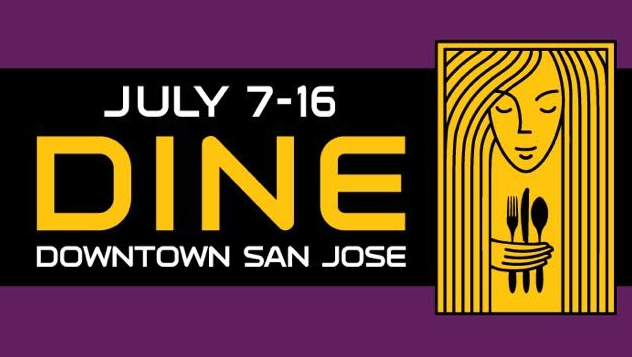 Dine Downtown is produced by the San Jose Downtown Association and sponsored by Sysco. Dinners begin at 5:30pm nightly and the event runs from July 7th to 16th. I see two of my personal favorites made it into the list. La Pastaia and Olla Cocina were perfect during the week, I made sure to visit both and get my fair share of their magnificent cuisine. People seem to appreciate their service and good selection of food. La Pastaia is my favorite spot to go when I want decent pasta in San Jose.